I ordered 4 pairs of red sleeve garters for our barbershop quartet. They arrived on time and in excellent condition. They are a great addition to our performance wardrobe! Rich color. This accessory is what I needed for a modern fashion statement. A slight touch from the past. Garters so groovey they were almost stolen! My best friend laughed when his son wanted to borrow the new red silk sleeve garters for his girlfriend's thighs - no one is that skinny! I was glad they didn't get absconded... (lol) My friend wore the garters with the brown Filigree Shirt and looked the part of a gambler without need of vest or jacket (which for comfort reasons he was not able to wear that day). We were stylin' at the Dickens Faire! Looks great but a little big. To hold the shirt as designed, I had to shorten the garters about an inch. Once done, they worked great and did not slip. With the red tie they matched very well. Nice look. As usual my complete order arrived in a timely fashion. As to the garters they are capital and the perfect addition to my ensamble. Every one loved these at my daughters wedding, Don't forget the small details. It's really hard to find arm garters that aren't of "halloween" quality, these are well made, look good, and have a deep rich color. Other than the exorbitant shipping cost for a tiny/light item I love them. I own a 1901 Locomobile steam car (Stanley steamer). When I go to car show or parades, my wife and I dress in period clothing from your store. 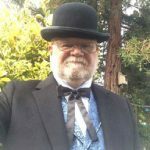 Over the years I've become an historian on the subject of turn of the century steam cars. The cloths give us that finished look. Many people enjoy seeing us dressed with the car. Thanks for providing us the ability to look the part. New sleeve garters result in new workout. I do some volunteer bar tending at a private club, got the garters to wear while doing so, they are perfect. I received numerous compliments but most importantly they helped me keep my cuffs out of the way of my work. My only disappointment is they were a little loose indicating that I need to get some dumbbells and do a few curls everyday. I expect them to be slightly tighter next time. They are what I ordered. Delivered promptly in time for a movie shoot I was doing. Thanks. Excatly what was promised was delivered; very satisfied.